From March 14-16, 2017, Nilar participated at Europe’s leading energy storage trade fair in Dusseldorf. 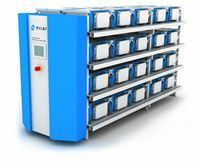 Nilar showcased its energy storage rack solution, which is produced from battery cell to functional system in Sweden, as well as several recent case stories for smart grid and smart buildings. “The fair truly exceeded our expectations. 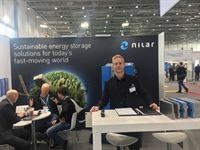 The industry is maturing and it´s clear that energy storage is not only a topic of the future - energy storage is a hot topic today and we are happy to be part of this transformation towards a greener energy thinking”, says Erik Tolagen, Head of Sales and Marketing at Nilar. The fair resulted in many interesting cases and leads and it became clear that energy storage is playing an important role for implementing a smart grid - from smaller home-storage applications to larger MWh-solutions. Nilar´s focus is on smart grid solutions where NiMH offers a safer, and more cost efficient, reliable and environmentally friendly alternative to both Li-ion and lead acid batteries. “2017 is going to be an exciting year for the energy storage industry and Nilar in particular. Our rack solution is now being used for multiple smart grid applications around Europe, including charging stations for electric vehicles and distribution of renewable energy at office complexes”, says Marcus Wigren, CEO at Nilar. 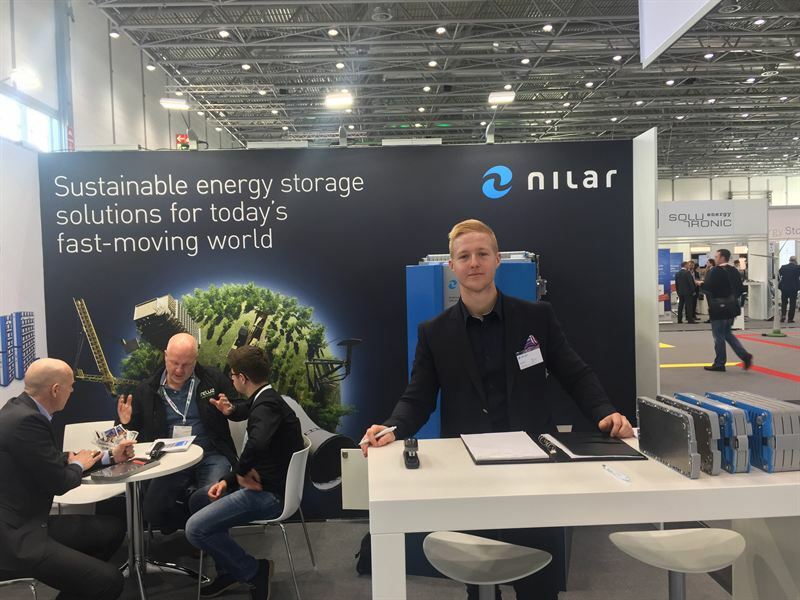 Due to all the positive feedback received at the event, Nilar has already signed-up for Energy storage Europe next year. Erik Tolagen, Head of Sales and Marketing at Nilar.